Energy savings from 30% to 50%. Power from 1800W to 2400W. Why longwave outdoor infrared heating? 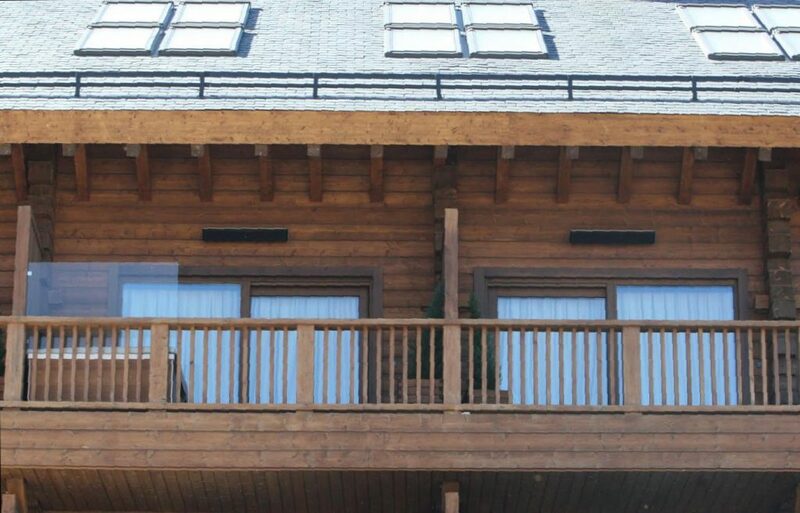 The Long Wave Outdoor Infrared Heating is based on the same technology as the indoor infrared heating panels, but are manufactured with a higher degree of protection. They are designed to be installed in patios or semi-covered terraces where they are out in the open. Since its IP 4.4, although high, is not suitable for rain, it is recommended to install them indoors. Like the indoor panels, they are efficient, easy to install, without maintenance and without moving or spare parts. Also without emissions of any kind: lights, gases, fumes, odors, noises or vibrations. Once installed on the ceiling or on the wall, they will go completely unnoticed. They do not emit light, and with their sober and elegant design, they will be perfectly integrated with any style. 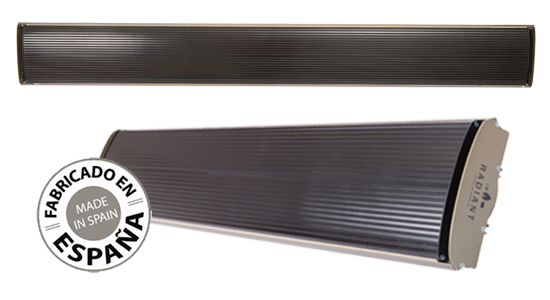 The longwave outdoor infrared heating panels are manufactured in three different models. With them, it will perfectly cover the needs of any situation. Optionally, they are supplied with adjustable power and remote control, which will make them very easy to use. The model 160-15 incorporates a remote control with which we can adjust the power of the plate to 50%, 70% or 100%, depending on how cold it is. The longwave outdoor plates can be installed at a height of up to 3 mt from the ground. From that height, the infrared waves open at an angle of 45 degrees, covering a large area of influence. For this reason, they can be fixed on the ceiling or on the wall thanks to their installation kit that allows them to be properly directed to where the heat is needed.